Add your logo with a printed accessory! Be the leader of the promotional pack with Bolt the Australian Cattle Dog! This strikingly realistic dog features a gray and white mottled coat, black mask, and tan accents. 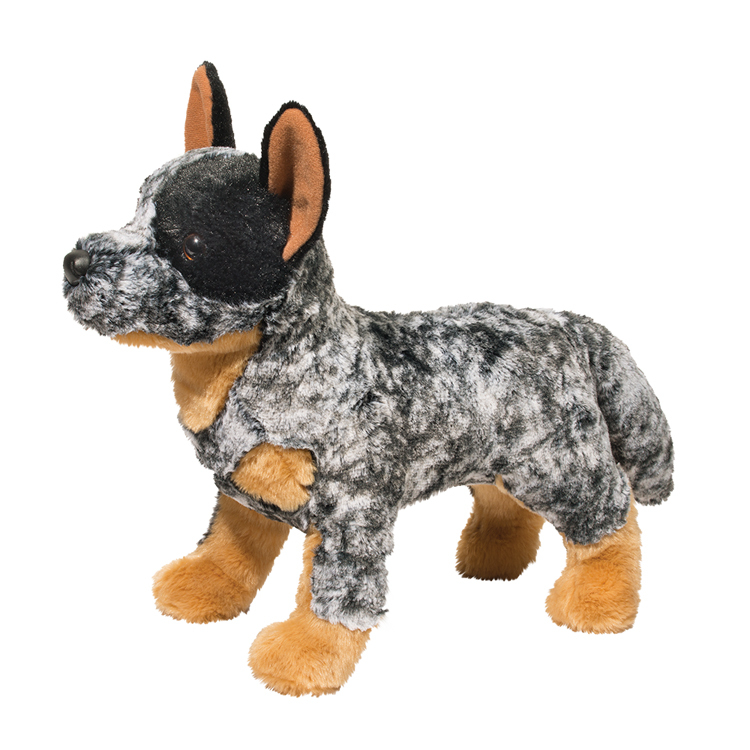 Made from the softest plush with an endearingly alert expression, this cattle dog is perfect for clients that need a breed-specific animal. A great giveaway for ranchers, rescue units, and much more, this four-legged friend will make a lasting impression on your clients! Add your logo with a printed accessory! 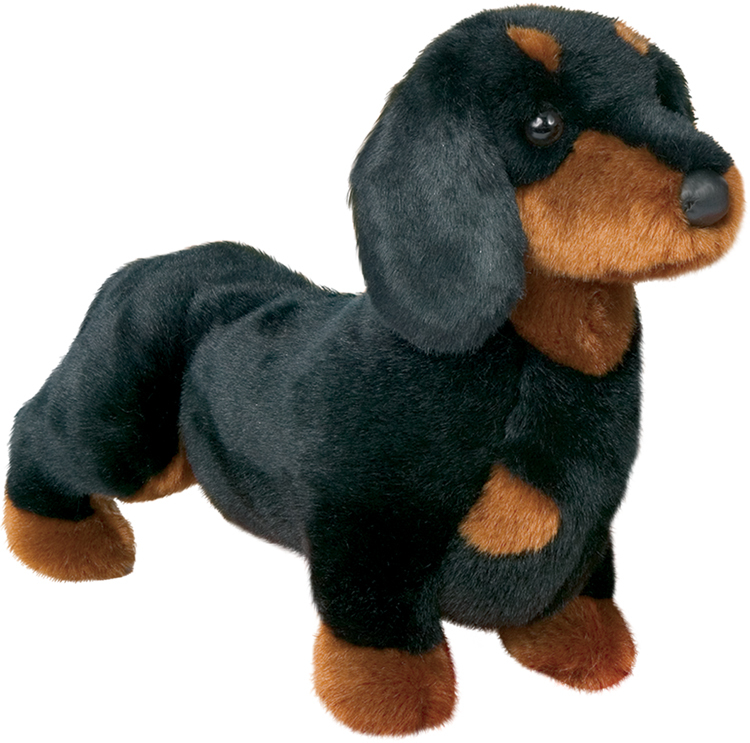 They won’t be able to resist reaching out to feel this soft Spats Black & Tan Dachshund! 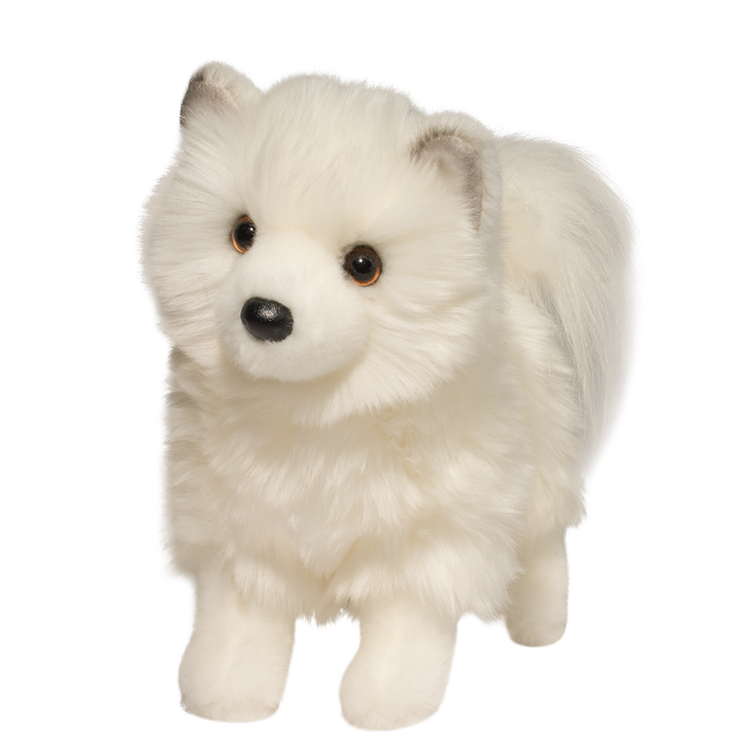 Beautiful and realistic, this dog features soft fur and the sweetest little legs. 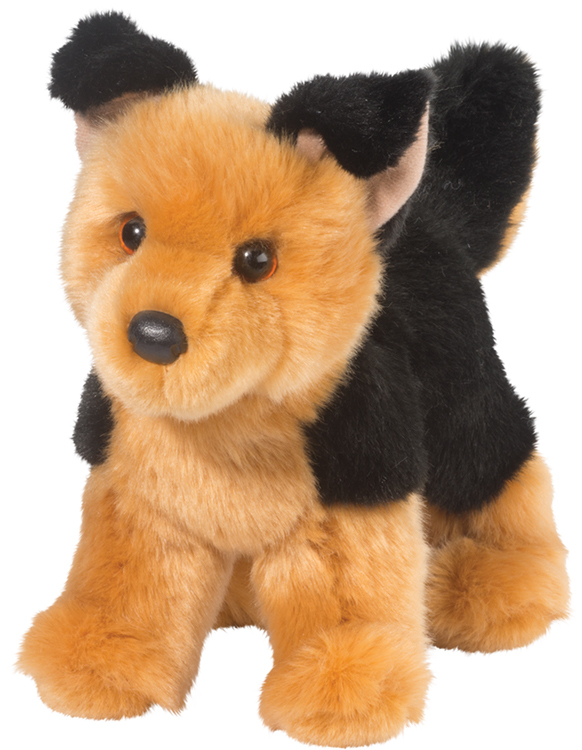 With exceptional detail and luxurious materials highlighting the quality you expect, this stuffed animal will be instantly recognizable at kennels, dog rescues and more. 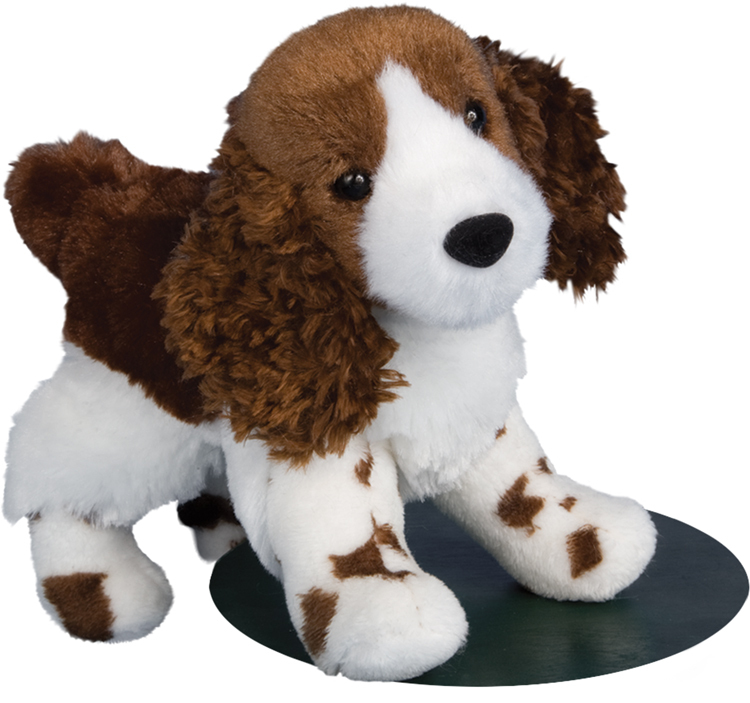 With an imprint of your logo or company name, this four-legged friend will wag its way into your heart! 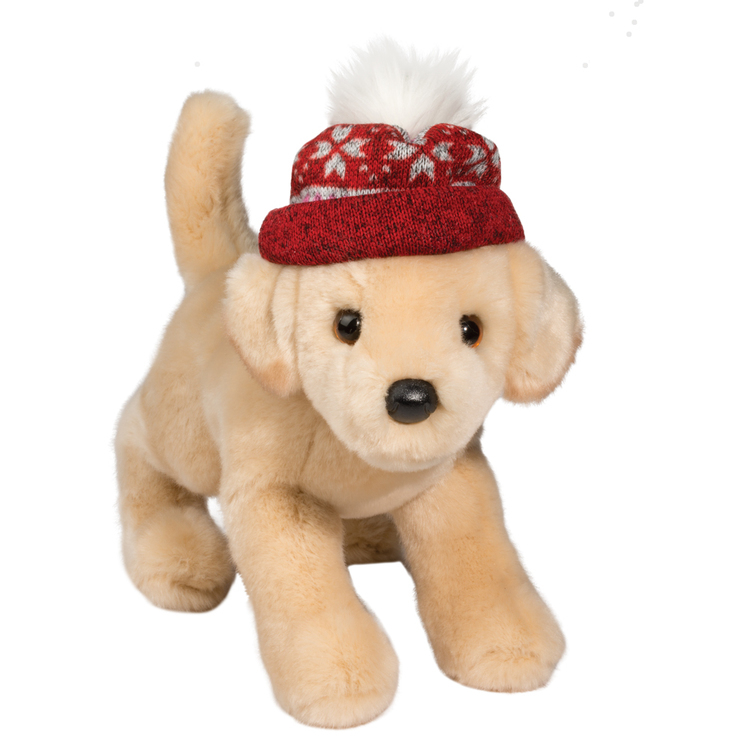 Our playful plush Yellow Lab puppy is ready to herald in the howl-idays with a carol or two! Dressed in a red knit cap featuring a festive snowflake pattern and fluffy white accent, he is sure to stay warm during all his outdoor winter romps! With a realistic design and cuddly body style, this Yellow Lab stuffed animal is especially lifelike and would make an excellent winter promotion for animal rescues and anyone looking for a friendly promotion. Add a printed accessory to make him truly custom! Add your logo with a printed accessory! 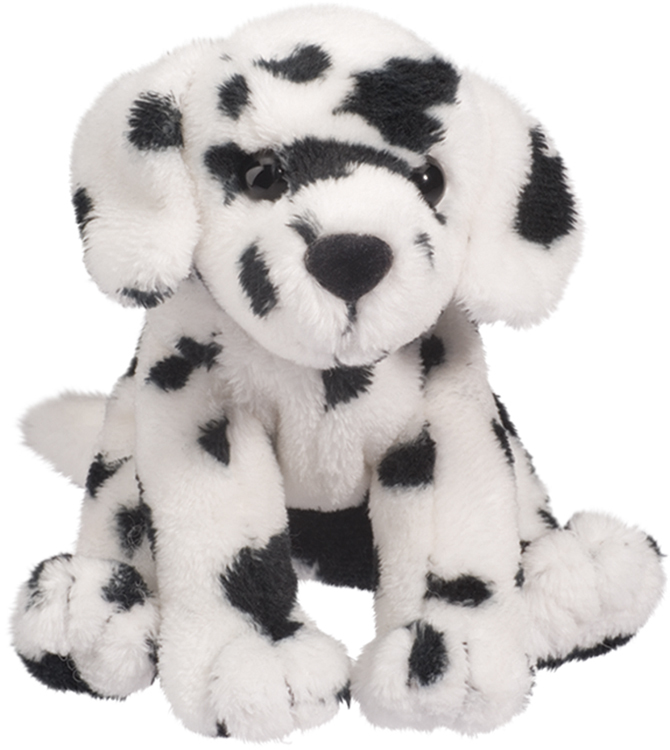 Make a "paw-some" addition to your upcoming promotional campaign with Checkers the Dalmatian stuffed animal! A breed-specific toy that will make your brand instantly recognizable, this cute and cuddly stuffed animal is made of high-quality soft plush material and is great for fire and resue organizations, and so much more. 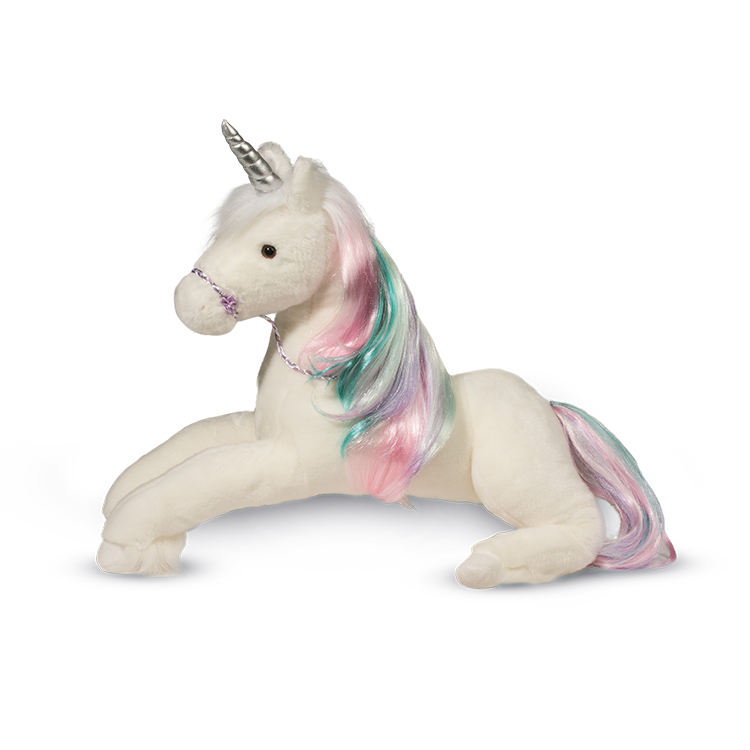 Customize with an imprint of your logo for increased brand visibility on a terrific toy. Prove your bite is as big as your bark! Add your logo with a printed accessory! For a majestic stuffed animal that is bound to make a lasting impression, look no further than Samson the stuffed Clydesdale Horse! 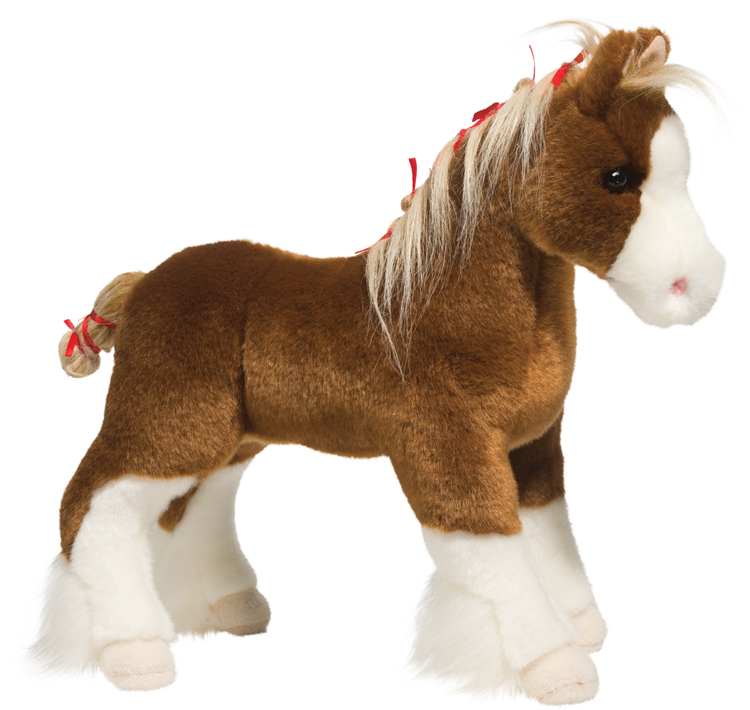 Measuring 15" with brown/white coloring, a braided mane and a red ribbon, this toy is made from soft, high-quality plush material. Customize with a logo for increased brand exposure. Gallop to promotional success today! Mouse Holiday Delight is a festive fluffy friend! 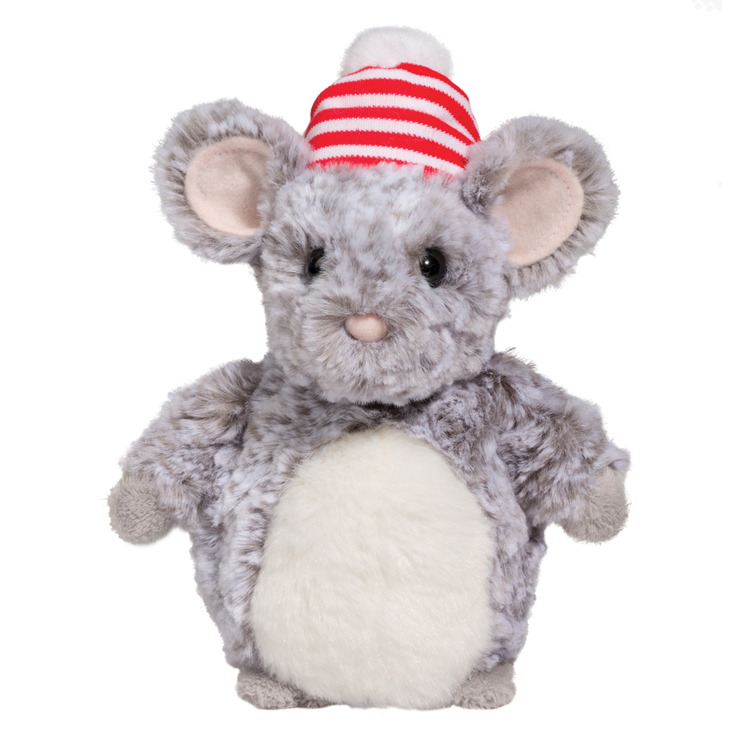 His brightly colored candy stripe hat and luxuriously soft coat of plush grey fur help keep this little mouse cozy during the cold months of winter. 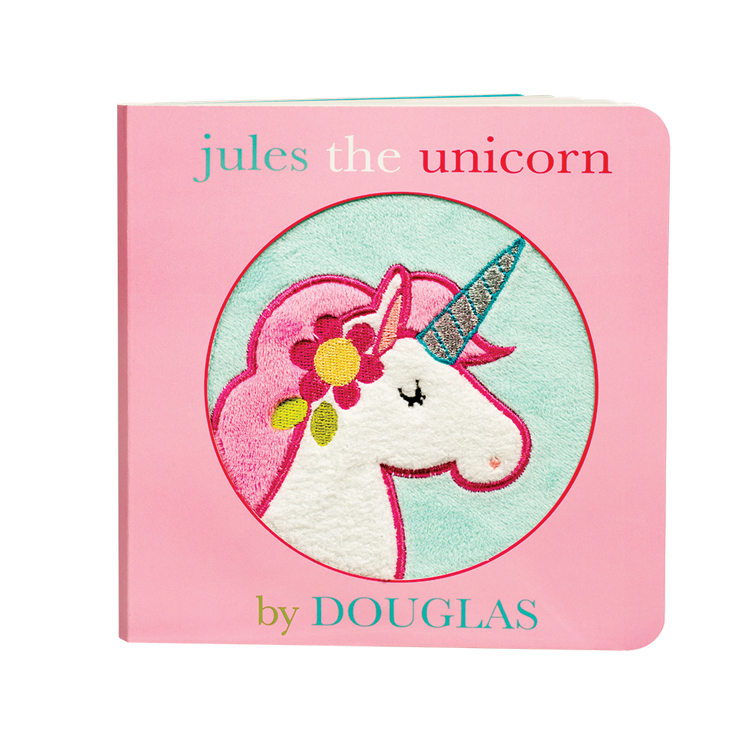 Bright, inquisitive eyes and a fuzzy pink flocked nose add a touch of charm. A custom printed accessory will make this a sweet promotion! Add your logo with a printed accessory! 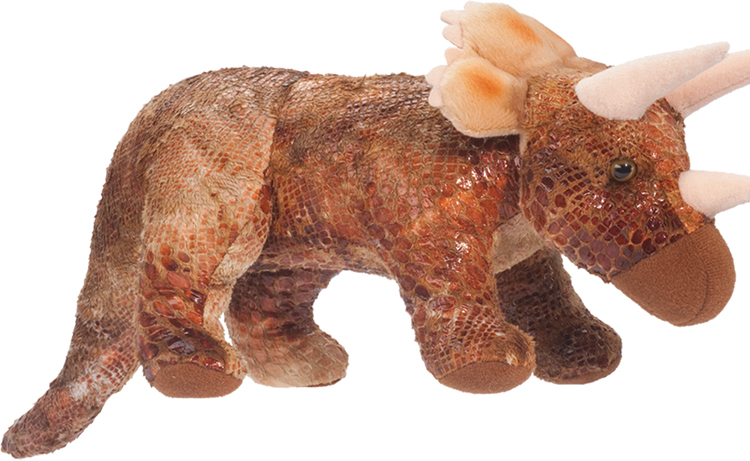 Create a multifaceted marketing tool when you customize this Triceratops Dinosaur for your brand! 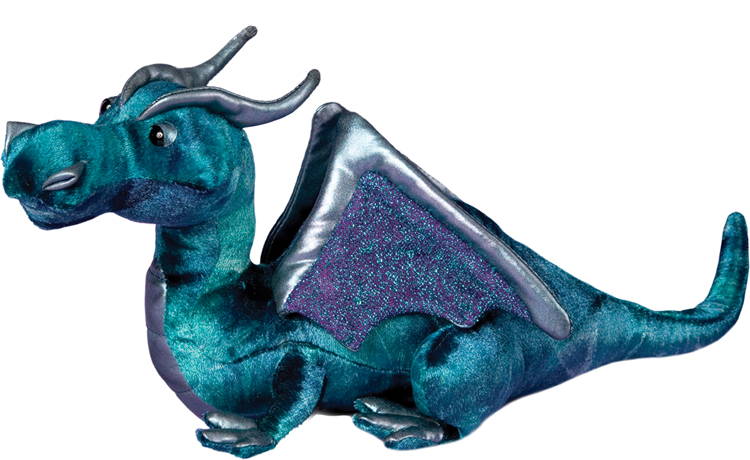 This amazing little plush serves up a great look, made of shiny, scaly and fun fabric that provides a realistic look. Recipients can even press his foot for a ROAR. The name means "three horned face", and more interesting dino facts are included on the tag. Give your advertising campaign a unique look that's sure to pull in new and potential customers! Add your logo with a printed accessory! Attack your marketing goals with voracity when you include this Velociraptor Dinosaur in your next campaign! Don't let the size of this dino fool you. He was the fastest and most dangerous of all dinos. 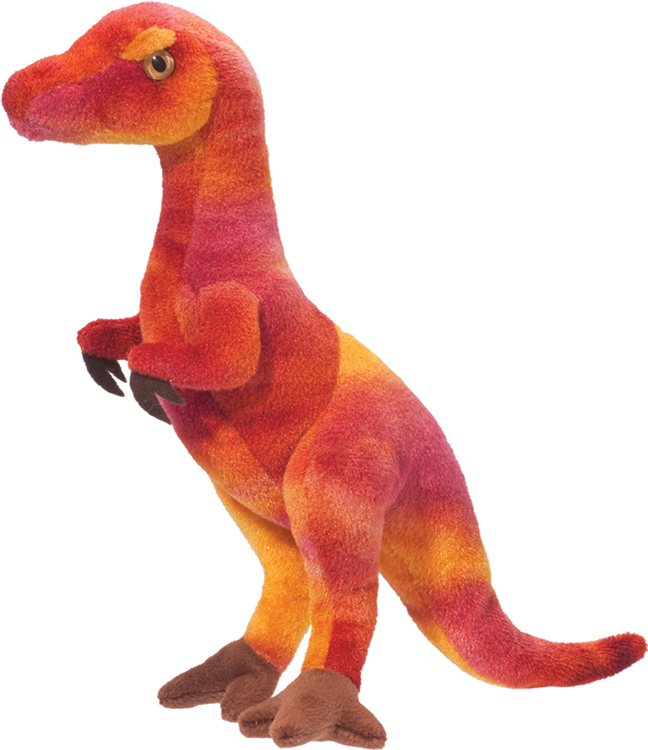 This toy is made of a fiery red fabric and stands on two feet. His belly can be pressed for a ROAR, and interesting dinosaur facts are included in the tag. Attract a lot of attention for your brand with a promo tool that can be heard near and far! 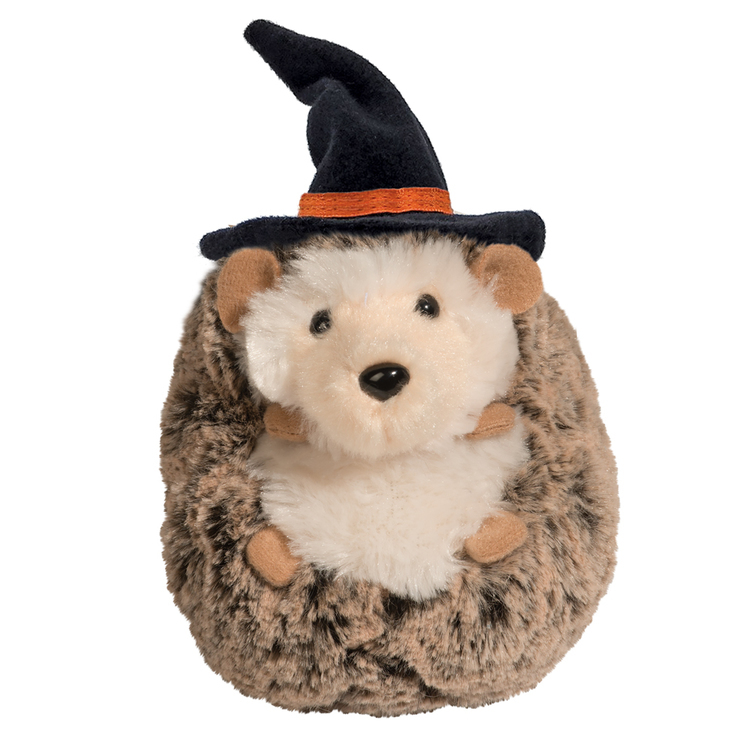 Get your wands ready and put everyone under a spell this Halloween with the new super-soft and cuddly Spooky Spunky hedgehog with witch hat! Add a custom full-color, double-sided hangtag to really customize this guy for your promotion. Add your logo with a printed accessory! 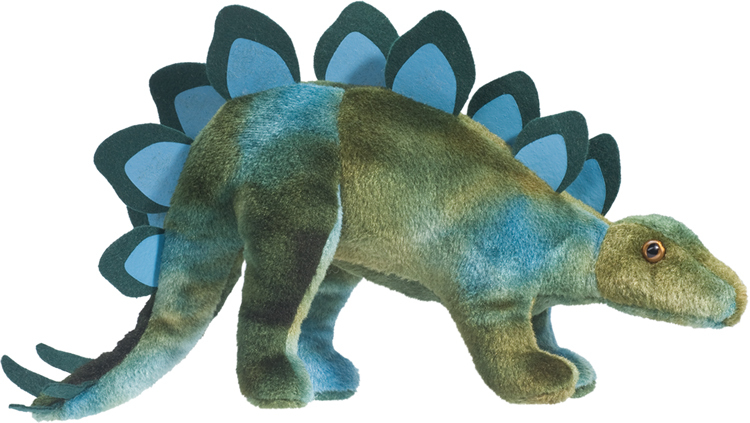 Serve up greatness in your marketing campaign when you include this Stegosaurus Dinosaur with Sound! The stegosaurus was called "plated lizard" because of the plates on its back and spiked tail. More interesting dino facts are included on the tag. Press the belly for a ROAR and add your logo for audio and visual connections to your brand. Stick it to the competition and have clients eating out the palm of your hand! Add your logo with a printed accessory! Have guests jumping for joy when they see this stuffed dog! Flair the Springer Spaniel is perfectly breed-specific with features including the softest brown and white fur, a sweet little black nose, and shaggy brown ears. Measuring 8", it’s an excellent choice for all your marketing needs. Customized with a company name or logo, it's perfect for tradeshows, self-promo, giveaway events, service dog organizations and much more. Add your logo with a printed accessory! When brand loyalty is what you need, look no further than man's best friend! Piper the Pit Bull has beautiful soft tan and cream coloring plush as well as exceptional detail and luxurious materials to highlight the quality you expect. 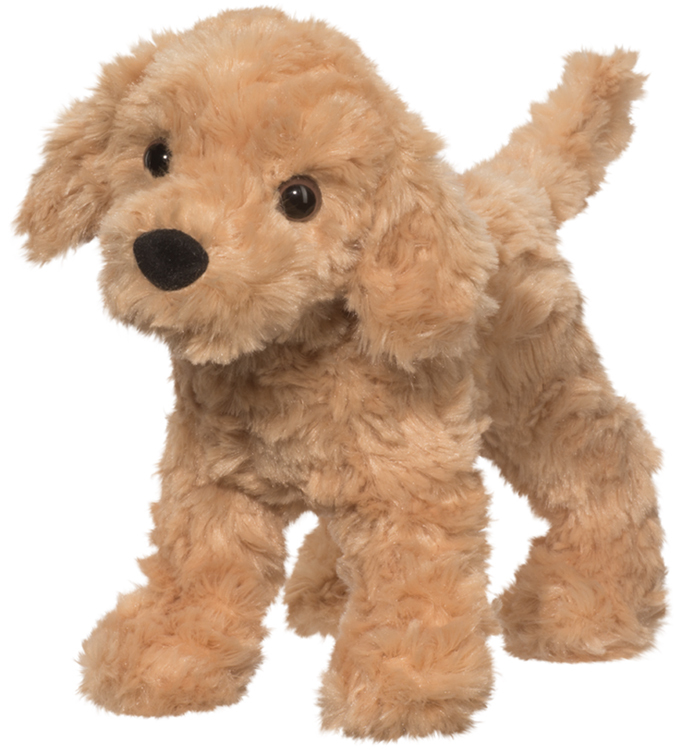 This is a great stuffed animal for adoption centers, holiday gifts, dog lovers, groomers and much more. 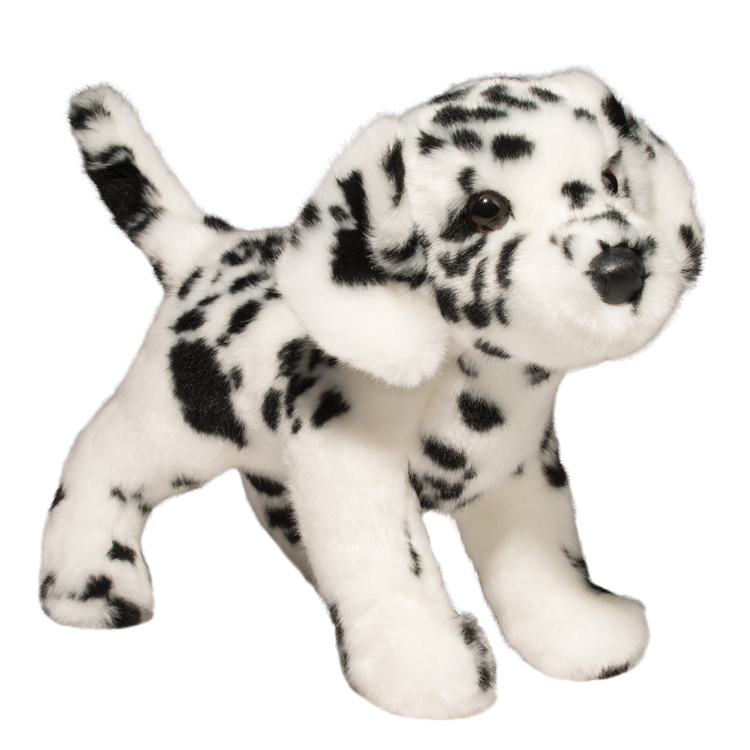 With an imprint of your logo or company name, this cute dog is sure to make a lasting impression! Add your logo with a printed accessory! Everyone young and old will love snuggling up to this promotional stuffed moose! 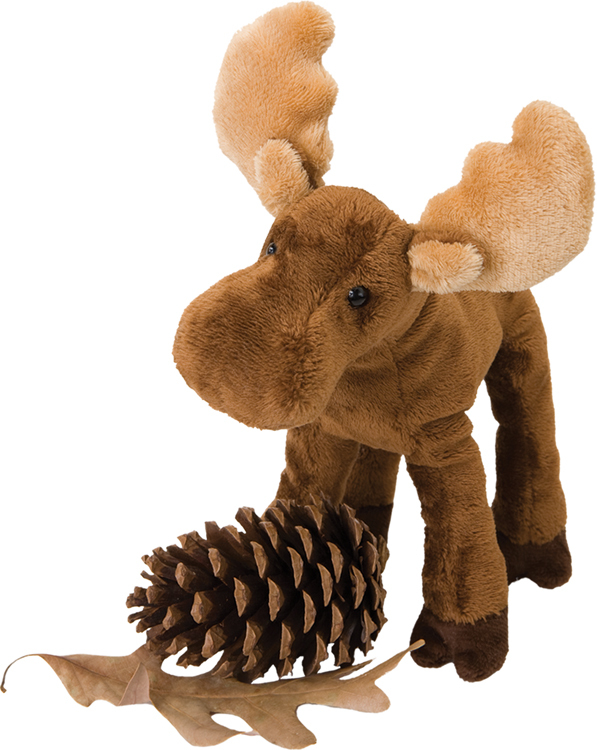 Soft as can be and compactly cute, this plush moose features all brown fur and tan antlers. 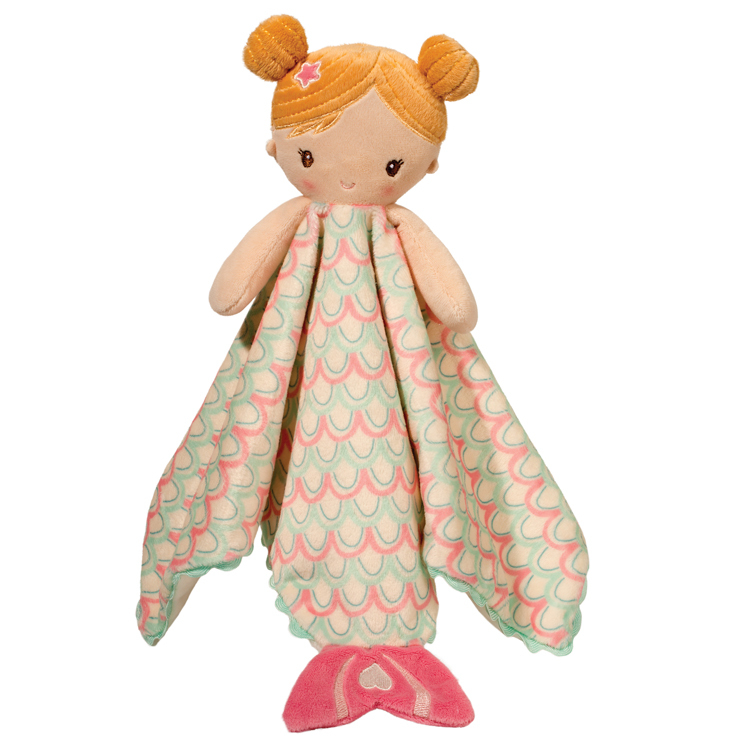 It measures 8" and is expertly crafted from the highest quality materials. Perfect for charity organizations, zoos and much more! Don't forget to add an imprint of your company name or logo to make a great impression! Who wouldn’t love to receive this cuddly companion! Add your logo with a printed accessory! 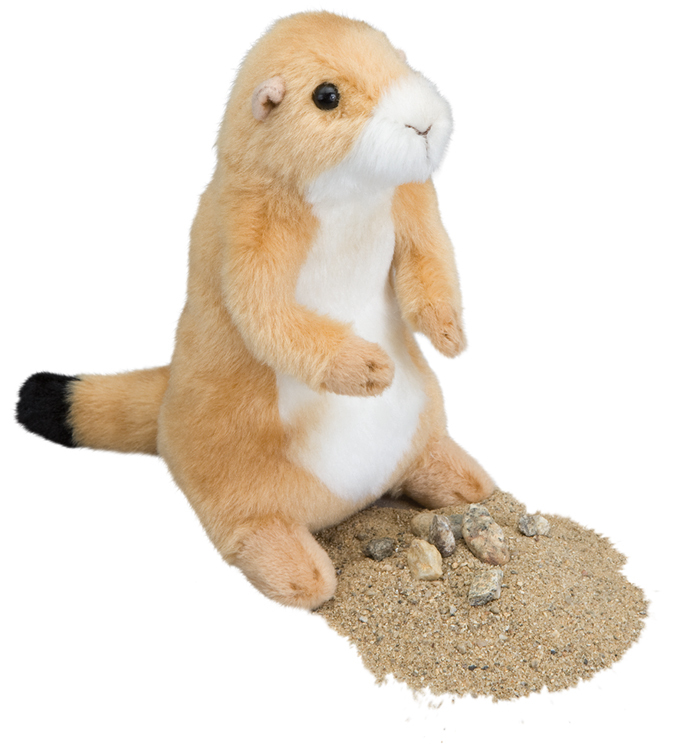 Create a stand-out promotion by choosing Digger the Prairie Dog! This critter is adorably realistic and features include soft tan plush, a white belly, and black-tipped tail. Offered in an inquisitive standing position, this stuffed animal was described in the journals of the Lewis and Clark expedition. It makes a great addition to your marketing lineup, especially when imprinted with a company name or logo! Add your logo with a printed accessory! People will "paws" when they see this Addie Caramel Labradoodle! 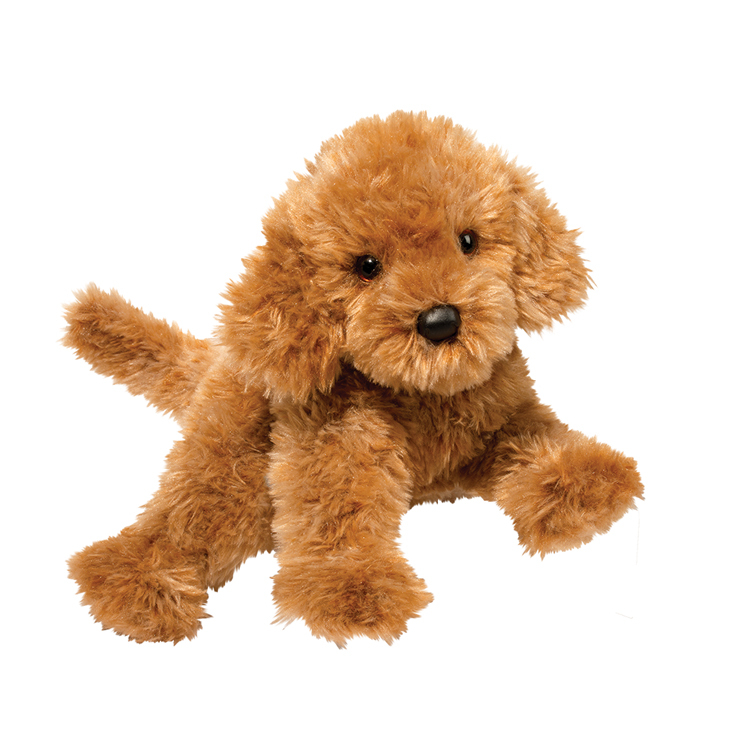 This adorable soft plush dog has a sweet floppy body, curly caramel-colored fur, and an endearing face. This labradoodle is perfect for clients that need breed-specific animals. 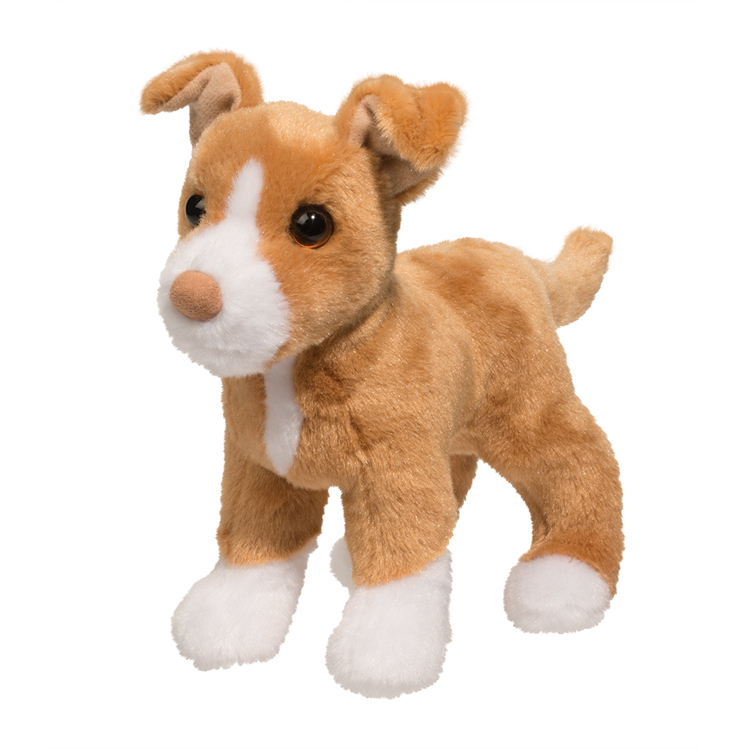 A great item for mascots, animal rescue organizations, and much more, this customized pup will have them giving you a round of "appaws"! Add your logo with a printed accessory! Your next promotional event will go swimmingly when you have Spout the Orca Whale by your side! 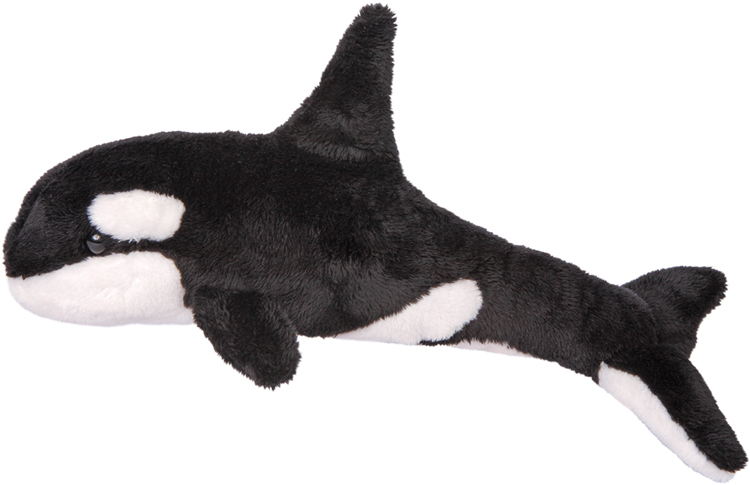 The orca or killer whale is found in all oceans and most seas, so this plush toy will be instantly recognizable. Spout features lifelike black and white coloring and a very soft feel thanks to the highest quality plush and expert construction. Measuring 13", this mammal is a perfect item for all your marketing needs. Make a splash by adding your logo! Add your logo with a printed accessory! Cheer up new and potential customers who are at a loss for good service with this Jade Blue Dragon! The stunning promo tool is made with unique materials that give it a majestic feel. The glitter and shine add another dimension that's sure to impress the recipients. Simply add your company's logo before handing it out at tradeshows, conventions or any other promotional opportunities to create a marketing tool that will boost your brand in an exciting way! Add your logo with a printed accessory! Who could ever say no to such a cute cat like Maps the Calico Cat? 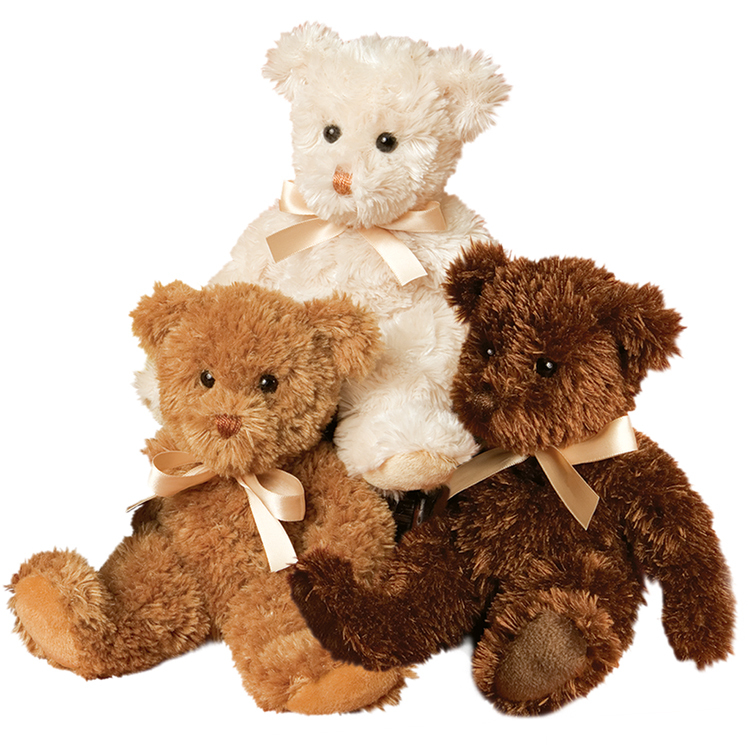 Expertly crafted from the highest quality materials, this plush stuffed cat features the softest tri-color brown, white, and black fur. It measures 8" and is an excellent choice for all your marketing needs. 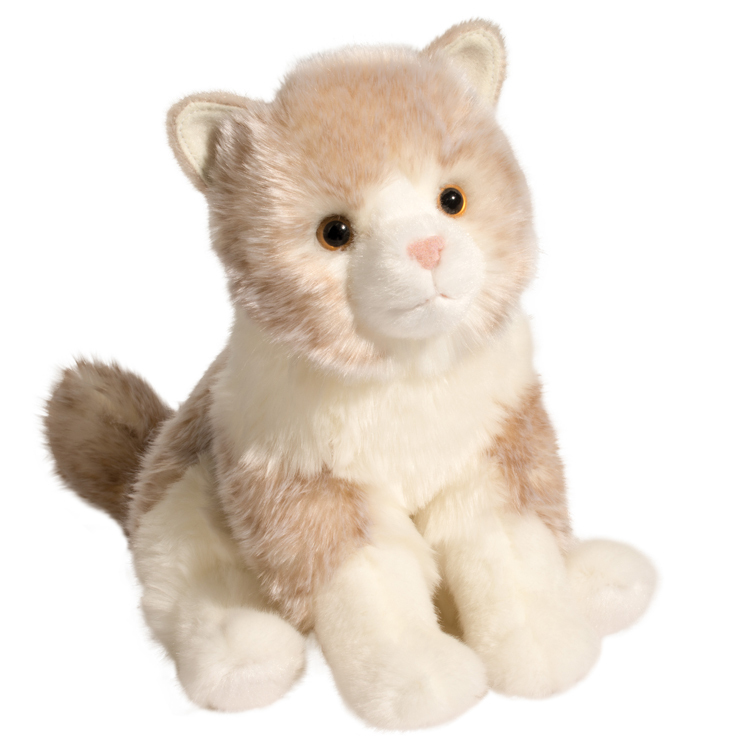 This instantly recognizable feline is a "purr-fect" giveaway at tradeshows and more. 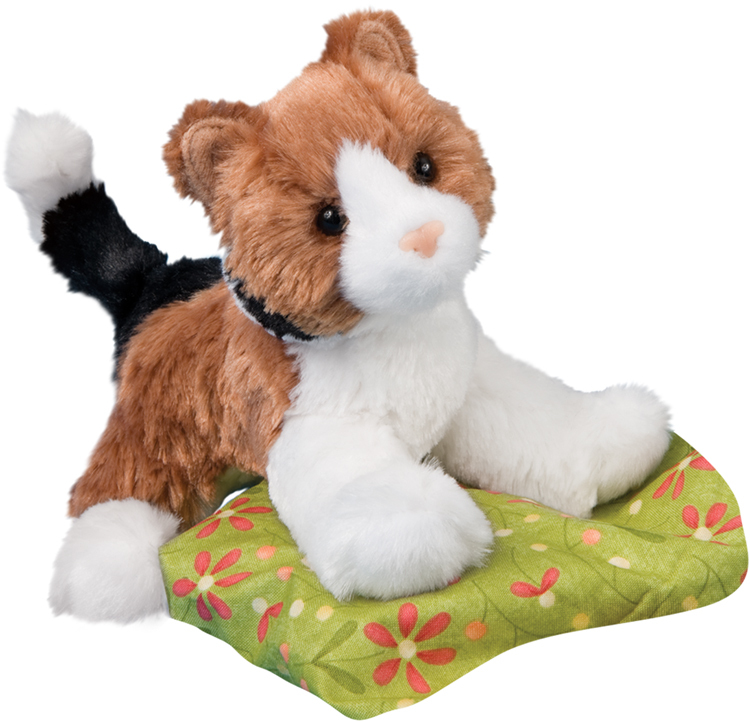 Customize with your logo and this stuffed cat is sure to capture the attention of all your clients! Add your logo with a printed accessory! Freeze competitors in their tracks when you add this Aput Polar Bear to your advertising plan! 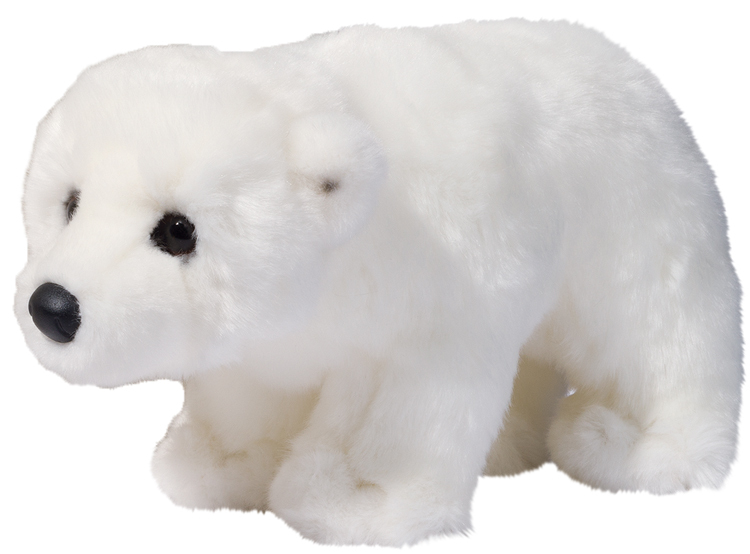 The adorable white stuffed polar bear features ultra-soft, cuddly plush and is ready to warm up the recipients all winter long. It's a great way to boost awareness for seasonal promotions, heating and air conditioning services, and cold climate-themed functions. Simply add your logo before handing it out to spread the word about your brand! Add your logo with a printed accessory! Help this Phoebe Pomsky find its forever home with your brand! This fluffy ball of white and grey fur is a mix between a Pomeranian and Siberian husky, making her unbelievably adorable. 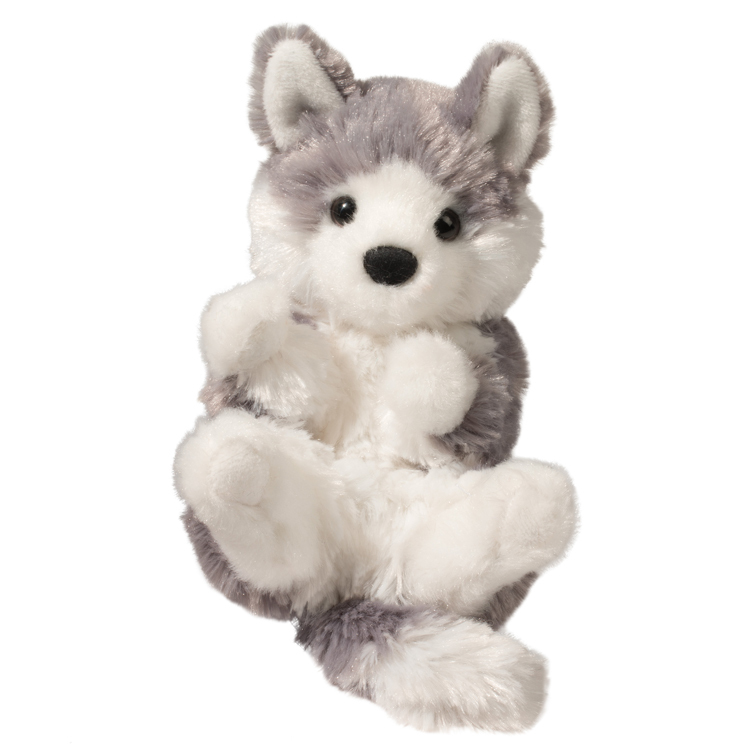 Featuring husky ears and a Pomeranian tail, this breed specific stuffed animal will be instantly recognizable once imprinted with your logo or company name. 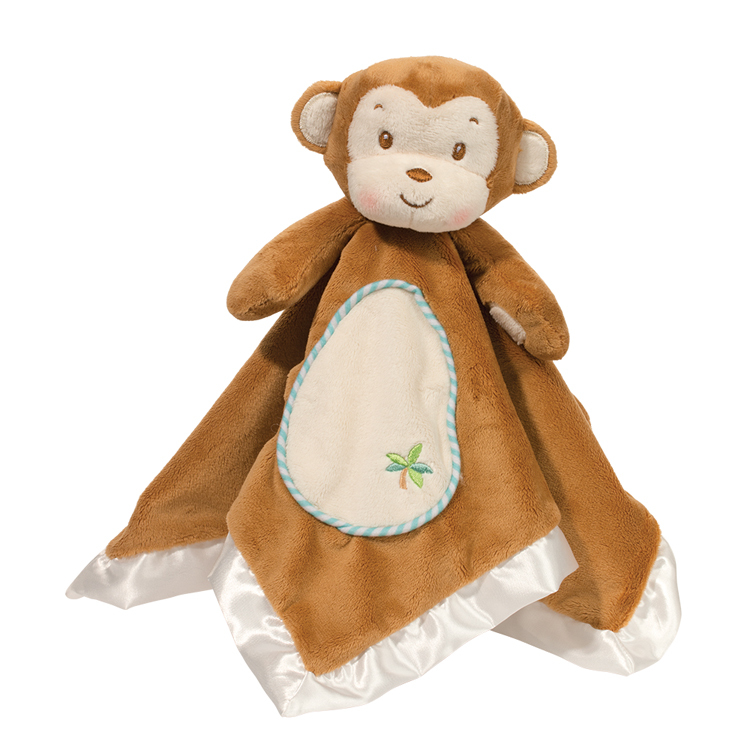 From adoption centers to hospitals and more, this must-have stuffed animal will be a fast fan favorite!